Looking for a Used GLE-Class in your area? 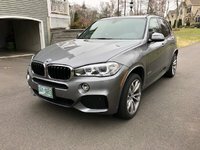 CarGurus has 8,898 nationwide GLE-Class listings starting at $24,795. Following big changes to Mercedes-Benz's nomenclature, the M-Class of old became the GLE-Class for the 2016 model year. While technically an all-new model, the GLE-Class borrowed heavily from the M-Class it replaced, the last generation of which dated back to 2012. 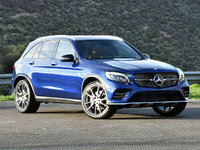 So the GLE-Class wasn't quite as fresh as it might have seemed at first glance, but it did bring a new powertrain, styling updates, and a 4-door coupe version that was introduced at the North American International Auto Show last year. It looks like the next generation of the Mercedes-Benz GLE-Class will be coming for the 2018 model year, so updates from 2016 to 2017 will likely be limited to mild cosmetic changes or the addition of a new color or two. A midsize luxury crossover SUV, the GLE-Class slots right in between the GLC-Class and GLS-Class, and with the addition of the GLE-Class Coupe, the model is more in line with the X5/X6 lineup from rival BMW. The GLE-Class, whose overall design is starting to get a little long in the tooth, also has stiff competition from crossovers like the Audi Q7 and Volvo XC90. The 2017 GLE range is made up of nine trims, from the GLE300d, GLE 350, GLE350 4MATIC and GLE400 to the GLE550e plug-in hybrid and the sportier GLE63 AMG and GLE63 AMG S-Model, along with Coupe versions of the latter two. The range of powertrains for the 2017 Mercedes-Benz GLE-Class is remarkably wide and runs from the fuel-sipping to the scary-fast. As usual, most of the numbers in the trim names don’t really make sense and give no indication of how big the engine under the hood actually is. At the bottom of the range is the GLE300d, which has a 2.1-liter 4-cylinder turbo diesel that makes 201 hp. Next up is the GLE350, which can be had in rear-wheel drive (RWD) or all-wheel drive (the rest of the GLE trims are all equipped with 4MATIC AWD) and is powered by a 3.5-liter V6 that makes 302 hp. The GLE400 features a 3.0-liter V6 with two turbochargers that makes 329 hp. The GLE550e also features a 329-hp V6, but it displaces 3.5 liters and features an electric motor that makes 114 net hp. The total gas-electric hybrid system makes 436 hp, and the GLE550e can travel up to 19 miles on electric power only. It has four driving modes that include hybrid, all-electric, battery saving, and battery charging. On a 220-volt charge, it can be fully juiced up in about two hours. As for the sportier trims, the smaller GLE43 AMG features a 362-hp 3.0-liter V6, while the GLE63 AMG features a 5.5-liter twin-turbo V8 that makes a whopping 550 hp. The GLE63 AMG S-Model cranks that up even further, drawing 577 hp from the 5.5-liter V8. The GLEs all come with a 7-speed automatic, and the GLE63 AMG trims will do 0-60 mph in a little over four seconds. Top speed is, as with many quick German cars, electronically limited to 155 mph. Fuel economy is similar to that of the old ML. The GLE300d gets 22 mpg city/29 highway, while the base V6 GLE350 gets just 17/22 with AWD and only a couple mpg better with RWD. The GLE550e plug-in hybrid, meanwhile, gets rather disappointing numbers that fall in the mid-20s. Finally, the twin-turbo V8 GLE63 AMG is a predictably thirsty machine, with an EPA rating of 13/17. Comfort, Slippery, Sport, and Individual driving modes control chassis, powertrain, steering, and suspension, while AMG trims feature an additional Sport+ mode; other trims can be had with an Offroad+ package, a locking differential, and extended-range air suspension that can raise ground clearance to 11 inches and fording depth to 23 inches. Almost all GLEs get Mercedes’ 4MATIC AWD system, which splits the torque 50/50 for most versions but 60/40 rear-to-front for the sportier AMG vehicles. Active anti-roll bars come standard on the AMG trims as well, and are optional on the rest of the lineup. Both ride quality and handling are said to be especially good for a vehicle of this size. On the inside, the GLE-Class benefits from the fit and finish that distinguishes the rest of the Mercedes-Benz range these days, and both carbon fiber and woodgrain trim are available to distinguish the cockpit visually. All infotainment and convenience features should be familiar to anyone who’s spent time in a C- or E-Class sedan, and the center console features the familiar COMAND controller and touchpad, along with an 8-inch screen on the dash. Rear DVD entertainment system is an option, and sound systems from either Harman Kardon or Bang & Olufsen are available. Seating is soft but supportive, and room in the rear seats is ample. Cargo space is ample as well. With the GLE Coupe, though, you sacrifice big time in the practicality department with that sloping roofline, just like you do with the BMW X6. The old ML was a top choice for the safety-minded, and its safety ratings carry over to the very-similar GLE, including a Top Safety Pick rating from the Insurance Institute for Highway Safety. As for safety equipment, the GLE-Class features an attention assist system to warn of drowsy driving, adaptive cruise control, forward collision warnings, lane-keep assist, blind-spot monitors, and forward collision avoidance. Rear- and surround-view camera systems are optional. Those wanting the newest and freshest in technology and styling will probably want to hold out for the second-generation GLE that will likely arrive for 2018; but the 2017 model is still lavishly equipped and a lively performer. What's your take on the 2017 Mercedes-Benz GLE-Class? Airwave_1248 Excellent in every respect. Did have to return to dealer to make adjustment to front seat cushions. Other than that very pleased. We previously owned 2014 ML350. 31g8r Massive FAIL with the a/c system. The auto function directs air out of the defroster, dash and footwell vents. This doesn't work for cooling the occupants in Florida. Also there isn't an override to this setting while maintaining auto control of temp and fan speed. This is a HUGE DISAPPOINTMENT from the M class it replaces. It seems there is an engineering deficiency in the ventilation system MB is hiding. This is the ONLY system on the car that you cannot customize. With a price well above 50k this should be unacceptable it is definitely unexpected. Users ranked 2017 Mercedes-Benz GLE-Class against other cars which they drove/owned. Each ranking was based on 9 categories. Here is the summary of top rankings. Have you driven a 2017 Mercedes-Benz GLE-Class? I Am Wanting To Order A 2017 Mercedes GLE AMG 63s. See Details.